This tutorial depends on the previous tutorial Object Segmentation and assumes that the object segmentation steps have been done already. Object classification is a follow up step after object segmentation and lets you discriminate your objects by size, shape, texture or a combination of it in a trainable way using machine learning. 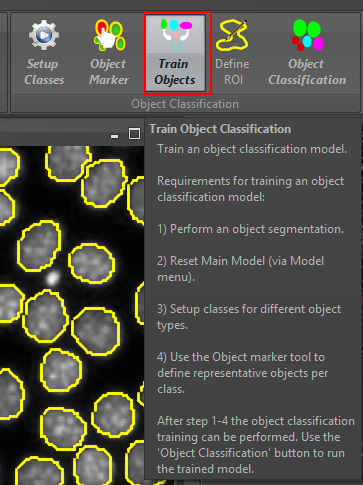 1) After segmenting objects click on the ‘Setup Classes’ of the ‘Object Classification’ band on the right side. This sets you up three object classification classes (see class drop down top-left). Optionally you might open the class configuration (F4) and rename the classes, add more classes or remove some classes. 2) Now select one class (e.g. 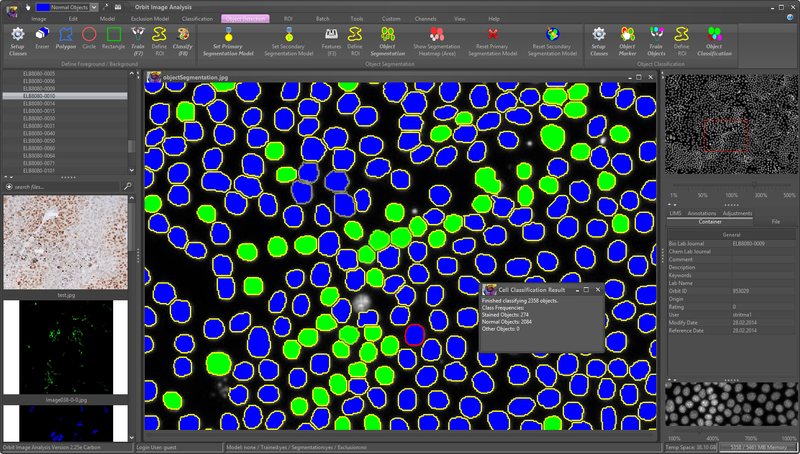 stained objects) and click on the ‘Object Marker’ tool. Click inside representative objects belonging to that class. Do this for all other classes as well. 3) When done, click on ‘Train Objects’. 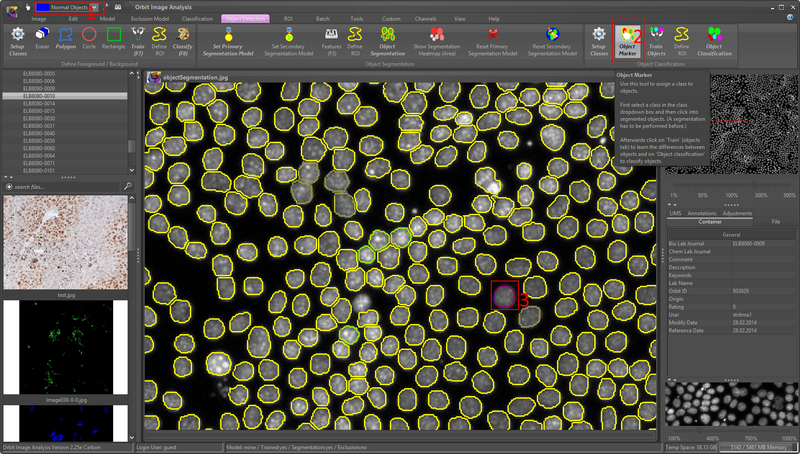 4) Now you can define or ROI (for big images) or use the whole image and click on ‘Object Classification’ which classifies all segmented objects and outputs the statistics. Again, you can save you model and/or apply it to a set of images using the Batch -> Execute… buttons. Congratulation, if you understood this last tutorial you got the basics of Orbit Image Analysis. The next steps would be understanding exclusion models and drawing annotations. These steps are described in the Orbit Handbook.